I recently spent a week exploring Oregon with my girlfriend. We drove all over the state with nothing more than our camping gear and some very loose plans. 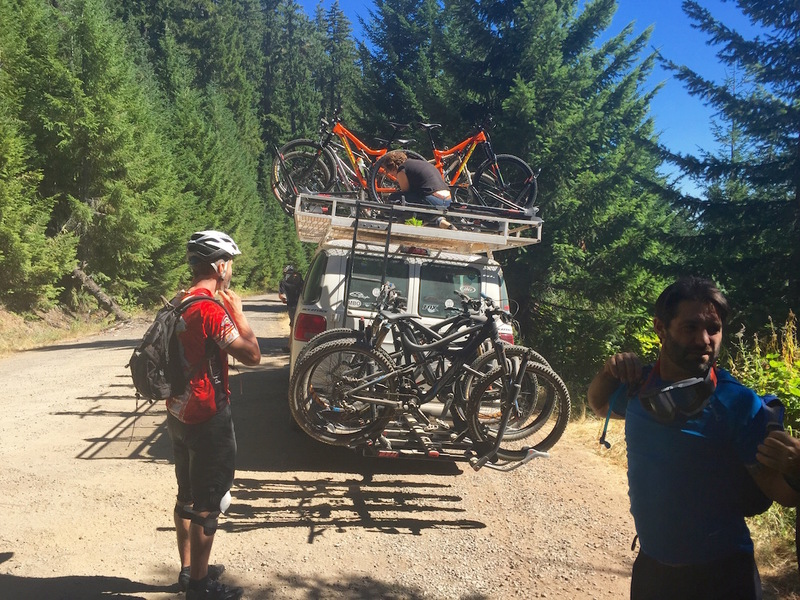 One of the places we knew we definitely wanted to hit was the small town of Oakridge in Central Oregon. 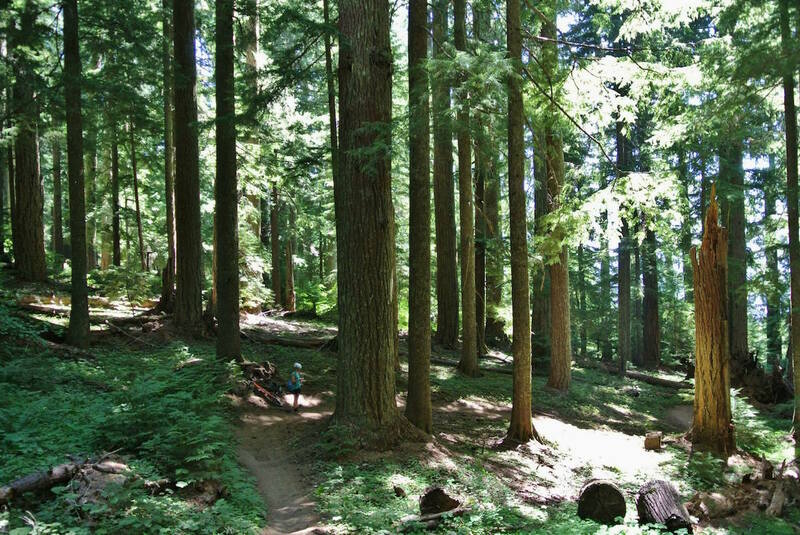 You’ve probably read about Oakridge on our site or in other numerous publications. It’s a destination on the rise, and for good reason. 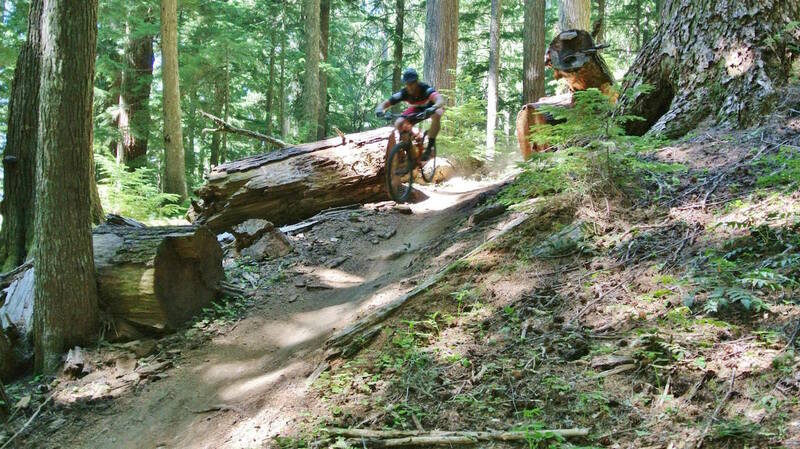 The town has excellent riding and caters to mountain bikers. Since we had just one day to ride, we decided to hit the Alpine Trail. 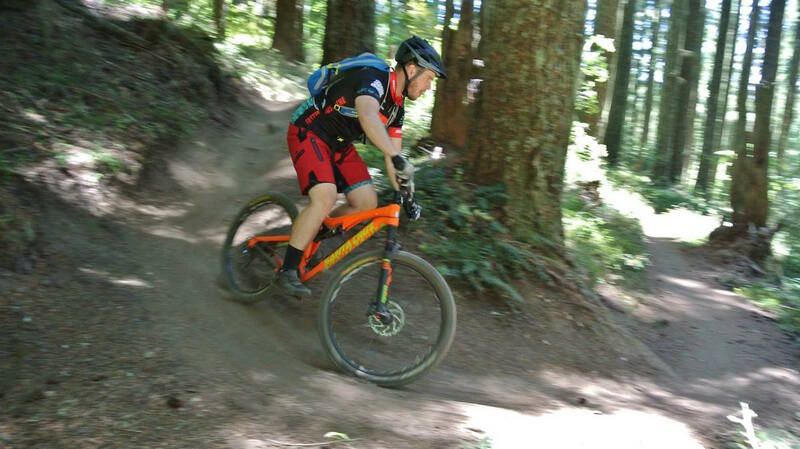 As far as bike shops go, there’s only one game in town, the Willamette Mountain Mercantile (aka Oakridge Bike Shop). It’s an unassuming looking place from the outside, but as soon as you walk through the door it’s apparent that it’s a legit shop. 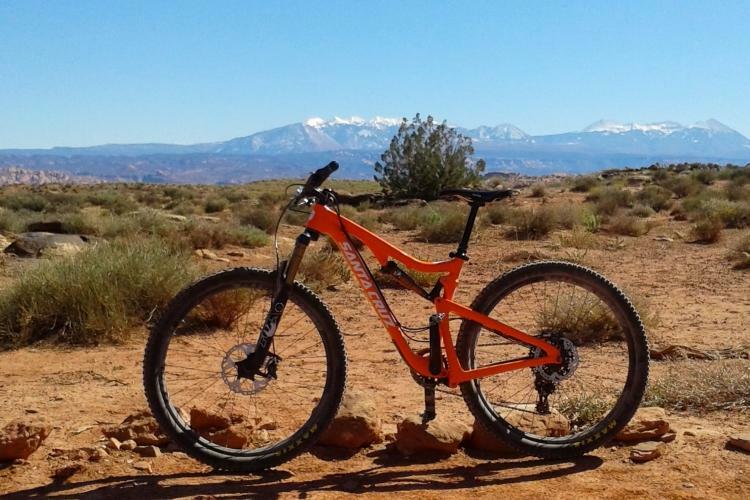 If you need something for your own bike, they’re well-stocked on chains, rings, derailleurs, tires, brake pads, etc.–anything you need to get back out on the trail. They also have a wide selection of bars, stems, and dropper posts if you’re looking to add some bling to your ride. Willamette Mountain Mercantile rents a variety of bikes from Santa Cruz, Ibis, and Marin. 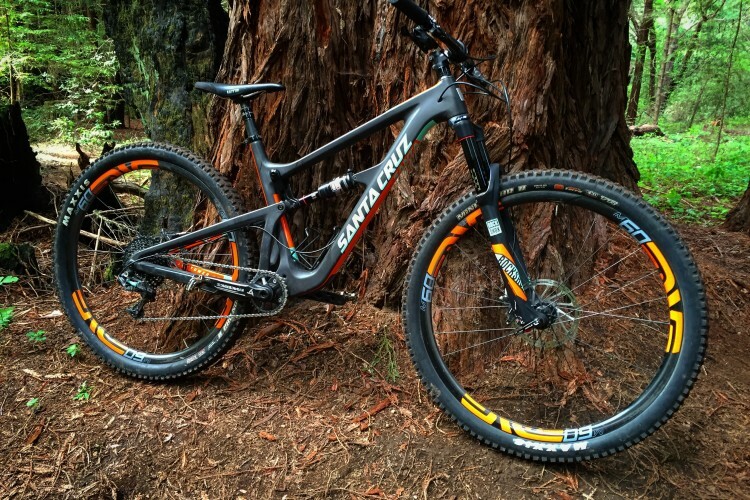 We opted for the carbon Santa Cruz 5010, as it seemed like a good all-around trail bike. Jack, who worked at the shop, was trying to talk me into the Ibis Mojo HD3, and while it’s a sweet bike, it seemed like a bit too much for my needs. At 6′ tall, I opted for the size large 5010, and it fit me quite well. Apart from setting up the suspension for my weight and adjusting the seat height, the only other change I made was dropping the stem. I prefer a good amount of drop from the saddle to the bars. 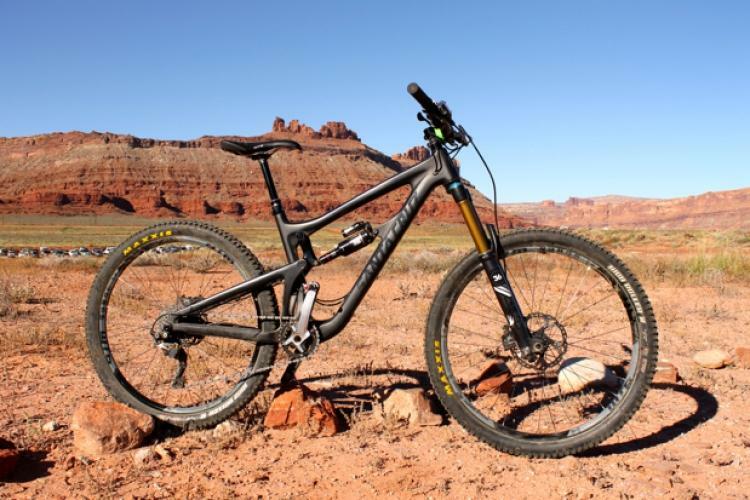 The fork is the excellent RockShox Pike, but the slightly more “budget” RC version. Rear suspension was handled by a Kashima-coated Fox Float shock. Since the Alpine Trail is mostly buff (at least by my East Coast tech standards), I ran a few clicks of low speed compression on the Pike and left the Float in the middle “Trail” setting to provide a bit more support. 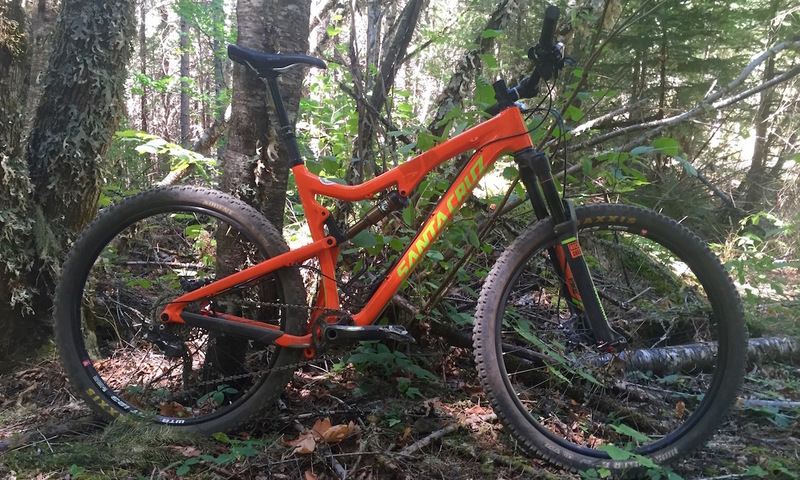 After taking the Oregon Adventures shuttle to Kate’s Cut-In on the Alpine Trail, it was time to put the Santa Cruz through its paces. While the trail is mostly downhill, there are some short climbs scattered throughout. The shop had setup my bike as a 1×10 with a standard 36T cassette out back, and that was plenty for the hills. 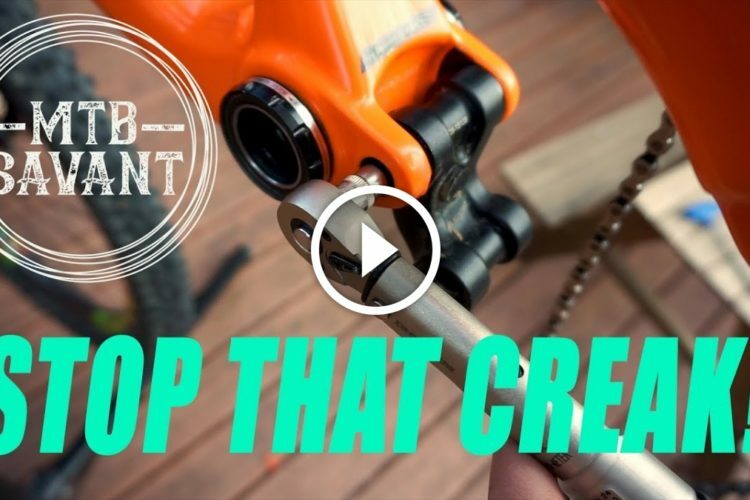 The XT rear derailleur did what XT components do: work great with no fuss. Brakes were Shimano too, but SLX. I’ve always been a SRAM/Avid guy for brakes (I know, I know, save it) because I prefer the modulation they provide. This particular set didn’t seem to have the “on/off” feel common on other Shimano brakes. Modulation was excellent, and the power was there when you needed it, which you will on the Alpine Trail. The grades don’t look steep, but let go of the brakes and you’re flying in no time. The 5010 was quick-handling, snappy, and stiff. 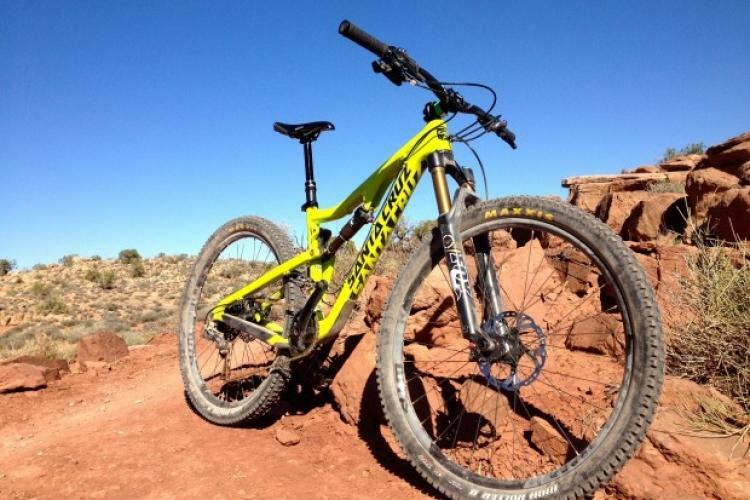 Its chainstays measure just over 17″, which is certainly on the shorter end of the spectrum. 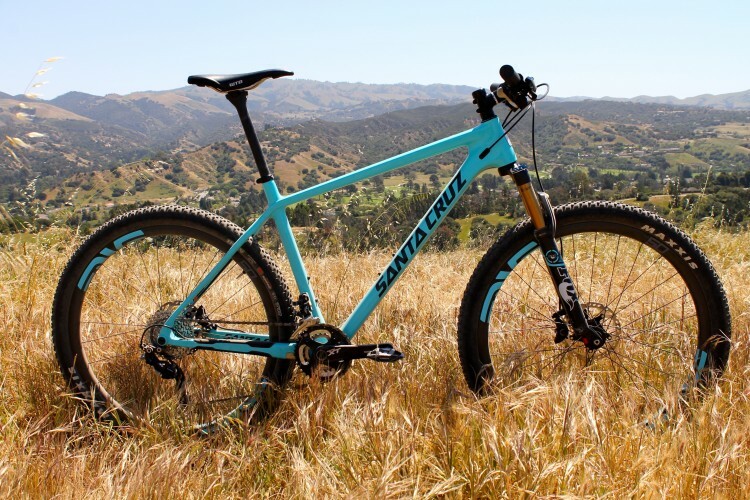 The reach on the size large was in the ballpark of the Yeti SB5c, but quite a bit shorter than Kona’s Process line. 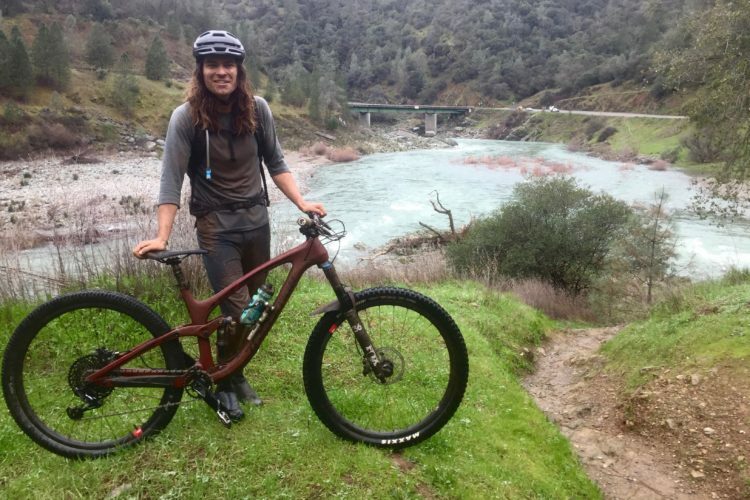 My personal trail bike is a Process 153. which has a reach of a whopping 18.1 inches, which works very well with my long, monkey arms. However, the 5010 didn’t feel cramped, and I liked the compact, nimble feel. 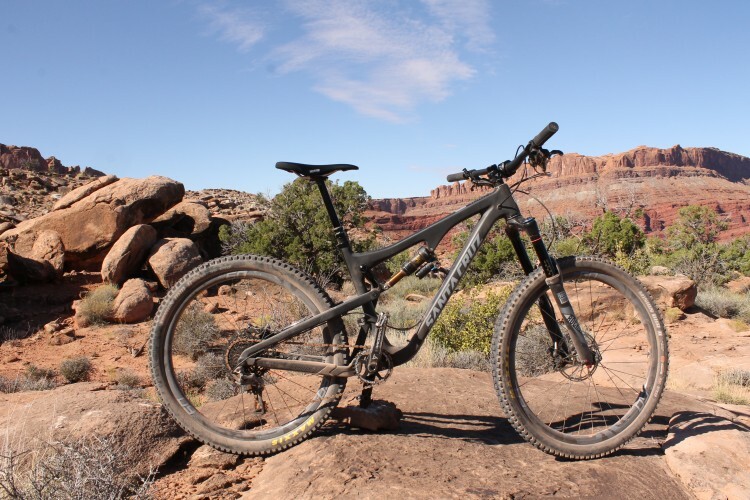 I was able to really shove the bike into the berms–so much so that I was overwhelming the 2.25 Maxxis Ardent out back. Stopping to add a few more PSI helped eliminate much of the squirmy feel, though. If this were my bike, I’d opt for something a little beefier on the rear, such as a High Roller II or Minion DHR II. If there were one negative thing I could say about the bike, it would be the low bottom bracket. It sits at just 13.15″ high (or low, depending on how you look at it). While that definitely adds to the bike’s cornering prowess, I found myself smacking the pedals fairly often, even without much in the way of technical obstacles. 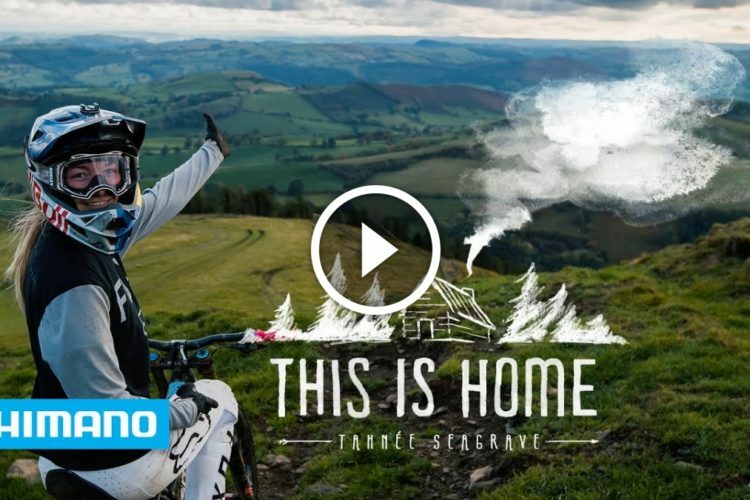 This could be overcome with more time on the bike and learning its characteristics better, but for really techy trails I could see it being aggravating. 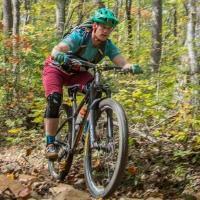 All in all, I really enjoyed my brief time on the Santa Cruz 5010. It’s light, stiff, agile, and has a solid build kit. I’d definitely be interested in spending more time on one, especially to see how it handles on the tight, rooty, and rocky trails at home.